2011 as we all know is the year of the RABBITS and looking at how keeping pets has become an important part of our lives and how affordable it is, I for one is fearing for the lives of many innocent rabbits that has been or yet to be churned out for the PET MARKET. I am not sure how ready Malaysia is to handle the overpopulation of Rabbits. It will be very overwhelming because the common rabbits are dubbed as breeding machines. They can churn out thousands if not controlled carefully. What has that got to do with us? The implication is huge! It has become a huge problem for the animal control. A dilemma that is so difficult to handle because the fine line of moral principles can be easily crossed. Many activist groups are watching and thus, culling seemed to be an impossible option. Are we able to handle rabbits running wild in our country? Rabbit overpopulation is not something uncommon. It has happened not only to isolated areas but an entire country. Take for instance Australia – http://www.animalcontrol.com.au/rabbit.htm. Australia as we all know, has banned rabbit importation. And how was this problem solved? As mentioned by wikipedia.org here – http://en.wikipedia.org/wiki/Rabbits_in_Australia, an “accidental” release of the CALICIVIRUS (or fondly known as Rabbit Haemorrhagic Disease), wiped out most of the rabbits. This is a deadly virus and can affect both wild and domesticated rabbits. Let’s take a few steps back and ponder for a moment. If an “accidental” release of this virus here in Malaysia happens, there will no longer be Thunder, Carmel, Haley and whatever named rabbits that we have, those that we hold close to our hearts or even as part of our family. On the surface, it does not seemed to be possible and unlikely to happen. If everyone thinks this way, IT WILL HAPPEN! EDUCATE – share this piece of article with a fellow friend who is contemplating to get a pet JUST FOR FUN. DO NOT BUY ON IMPULSE – the year of the Rabbit only last for 1 year, a rabbit live for an average of 4 years. Buy with a clear mind knowing that you can care for the rabbit for at least 4 years! KNOW WHAT YOU BUY – you must know the source of your pet rabbit to avoid unnecessary death. Most rabbits in the market/pet stores come from farms and mills where diseases are widespread. Buy from home breeders where you can see healthy animals. SUPPORT ETHICAL BREEDERS – there are many home breeders who shower their pets with lots of love through providing the best environment, food and care to their breeding animals. Supporting them will go a long way because animals produced by them are normally very healthy. SPOT THE NOT – good breeders will always offer to take an unhealthy rabbit back, is not keen on selling if you are not ready and will insist that it is not an obligation to buy a rabbit from them. They are not hard up for your money. NEVER RELEASE RABBIT INTO THE WILD OR PUBLIC PLACES – domesticated rabbits cannot fend for themselves against stray cats and dogs. Releasing rabbits in the neighborhood park spells certain death. NO CARROTS – the proper diet for rabbits is HAY and good quality PELLETS. The general practice of feeding rabbits with carrots and vegetables with high water content e.g. lettuce is WRONG. ADOPT A RABBIT – there are many rabbits looking for homes. Please do not be fooled by people asking for money on the pretext of offering rabbits for adoption. A sale is a sale. It will be fair to ask for a minimum fee if the person(s) is/are offering a neutered rabbit for adoption (with proof of the procedure and receipt). There are many independent pet rescuers genuinely helping to rehome pets and their cause should be appreciated and supported. 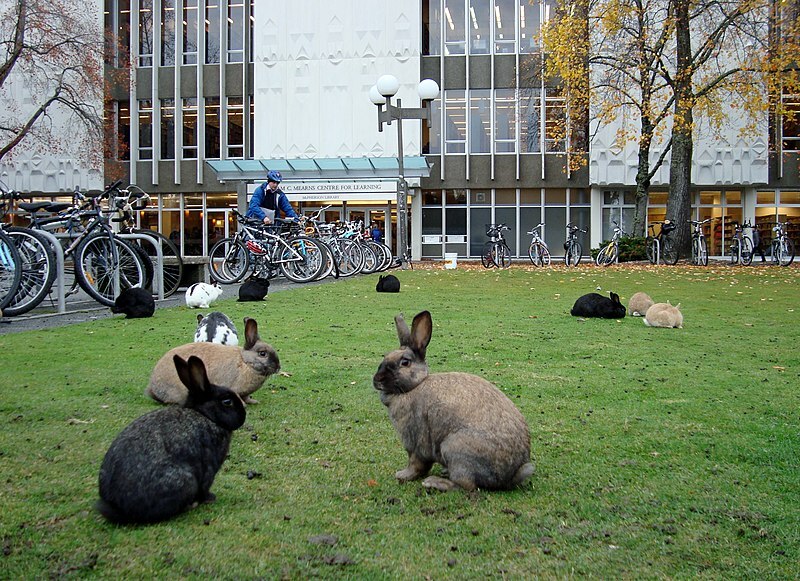 NEUTER YOUR PETS – rabbits can be neutered and in fact, neutering helps with behavioral problem e.g. aggression and territory markings. A neutered rabbit have much better litter habits making them the perfect house pets. Please share this post with all friends and family so that we can be aware of the impact of getting a rabbit as pet come Chinese New Year 2011 without thinking of the consequences. Together we can curb pet abandonment and unnecessary sufferings of God’s most misunderstood and defenseless creature – THE RABBIT!